Have you ever had a cold that seemed to linger? If symptoms last for 10 days or more, you might have sinusitis, according to the American Academy of Otolaryngology. Also known as a sinus infection, the nasal passages become swollen or inflamed, according to the Mayo Clinic. 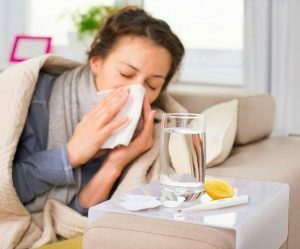 According to the Mayo Clinic, it is important to see a doctor if you have a persistent fever or have a history of recurrent sinusitis. Seeing a provider will also help to determine if you have a viral or bacterial sinus infection. Typically, a viral sinus infection lasts fewer than 10 days, while a bacterial sinus infection does not improve after 10 days. Knowing the difference will help with treatment. Viral infections do not benefit from antibiotics, “but may be treated using pain relievers, steroid nasal sprays, or salt water irrigation in the nose,” according to the American Academy of Otolaryngology. If you have a bacterial sinus infection, you may benefit from those treatments, but you can also try antibiotics. Visit Advanced Urgent Care & Occupational Medicine with locations in Brighton, Northglenn, and Ft. Lupton, Colo., if symptoms persist. Our caring team is here for you with no appointment necessary.